before continuing to scenic Jermuk to take part in Grand Prix tournament. 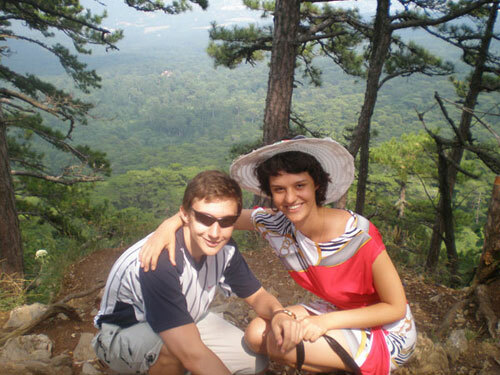 Ekaterina was happy to share her impressions. 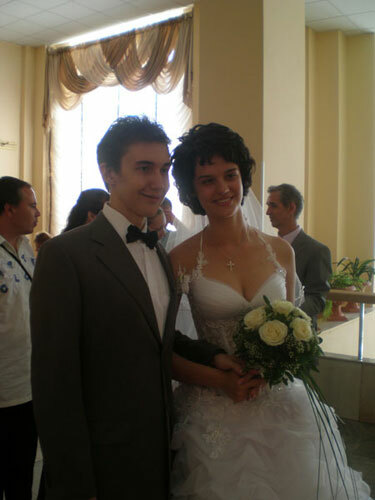 - Congratulations, Katya, on your marriage! - How would you describe Sergey, how is he in real life? - Sergey is very romantic and full of care. When I am in a trouble, he always encourages me. He is optimist, always has a good mood and I am very happy when I am near him. - How do you like to spend your spare time? One interesting addition: when we began dating, sometimes Sergey called me on the phone and we would play blind chess. Not surprisingly, those games ended with Sergey’s victory. - How do you picture your future family? With many children or is one is enough? And would you like your children to be chess players like their parents? - I would love to have a girl and a boy; I think one is not enough. It would be great if they become chess players, but Sergey doesn’t think so. - How is the world of the kitchen? Do you like cooking? - Yes, I do. I have been taught to cook delicious dishes, especially Ukrainian things from my mother, and I should add that Sergey likes my cooking. In particular, he likes dishes with meat as well as sweets very much. - Please, tell me a bit about yourself. - I study at Kiev linguistic institute, in the English department. But above all I like to play chess and Sergey helps me in this matter. Generally, all members of our family are chess fans. My sister is an International Grandmaster, and my father and mother very often play chess in the evenings. - Then they are of course happy to see Sergey by your side. - Yes, they welcomed my choice. I am glad to have a chess player as a husband too. I guess when spouses have the same profession they understand each other more easily. - Katya, thank you for the interview. I hope to always see you as cheerful and vivacious as I do now.